Bay Shore’s BYOB (bring your own boat) offers a non-competitive way to enjoy the outdoors with like minded people. 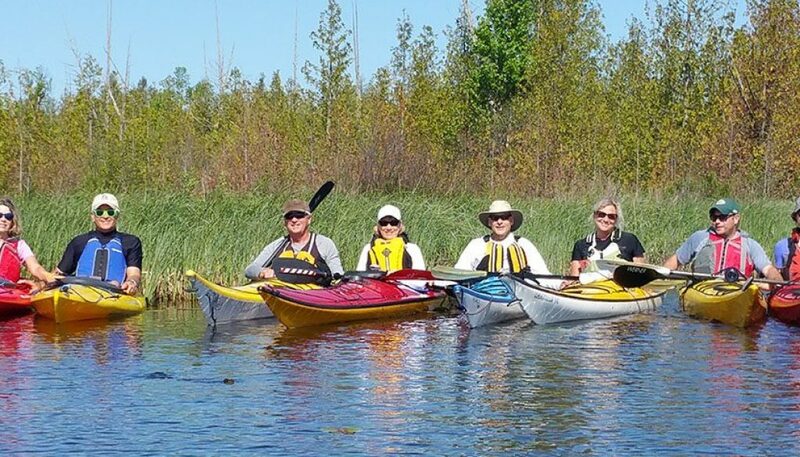 Kayak the open waters and inland lakes of Door County with old and new friends. Spend time paddling the waters less traveled in this place many of us call home. This is open to the everyone who has a kayak (rentals also available at Bay Shore Outfitters) and is interested in exploring the water that surrounds Door County. This group meets every month during the summer. If you are interested in becoming a part of this exploration please call Tonya at (920) 854-7598 or e-mail tonya@kayakdoorcounty.com. Check out more information on these great paddles by visiting Bay Shore Outfitters Hike and Kayak Facebook page.